When it comes to owning an Audi, you understand the importance of finding an auto repair center that you can trust to handle your luxury vehicle. John’s Auto Care Center in Meridian, ID, is the premier choice for Audi service and repair in the area. Our ASE certified Master technicians are highly trained and experienced when it comes to all makes and models of Audi. We can handle any repair or service your vehicle may need, from general maintenance to major repairs. 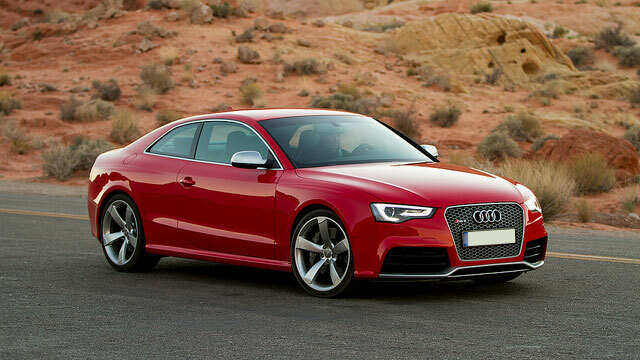 Our Meridian auto repair shop is the real Audi dealership alternative in Treasure Valley. Our experts are factory trained and all of our equipment and scanning tools are state-of-the-art. We offer the highest quality of professional repairs and will handle your vehicle with care. If you are experiencing an issue with your Audi or the check engine light has turned on, don’t hesitate to give our friendly staff a call. Our mechanics can perform a full inspection and diagnostics scan on your vehicle to determine the exact cause of the issue. In order to keep your luxury vehicle performing at its best, it is important to have regular maintenance performed by mechanics that you trust. Our shop helps to create a maintenance plan for your vehicle based on factory recommendations so that you never miss an important service. We also make sure to remind you of any upcoming services when they are due. Our goal is to help you protect your investment and keep you safe on the road. John’s Auto Care Center in Meridian, ID, is a full-service automotive facility dedicated to providing our community with quality repairs and excellent customer service. Our shop offers an outstanding 3 year/36,000 mile warranty on our repairs. We also offer nearly-free loaner vehicles (you just pay for gas), a free shuttle service, affordable financing options, and a comfortable waiting area. Our family owned and operated Meridian auto repair shop also offers same day service and we promise that our work will be done correctly the first time around. With over 23 years in the automotive business, you can trust that our highly experienced staff will handle your vehicle with care. If your Audi is due for a service or repair, don’t hesitate to stop by the experts here at John’s Auto Care Center in Downtown Meridian. You can have peace of mind that your vehicle is in good hands and that you will receive the best customer service possible.